I received an immunization protocol of entering high school. I caught a bad cold, started having extreme fatigue, night sweats, fevers, mysterious bruises, pain in my right wrist, weight gain, rashes, eczema, severe acne that I was given rounds of antibiotics and creams for. I couldn’t focus, was bullied in school and my grades started to drop. My intuition new something was wrong but I was told it is just a teenage phase. I was a healthy kid growing up and played sports. When I went to my pediatrician at the time for an annual physical I pointed out a slight change I noticed in my first two knuckles on both hands. When the doctor didn’t listen and was adamant that nothing seemed peculiar, I still didn’t believe her mainly because I had started to do some research and it all made sense. I was sent home with it’s “nothing, just growing pains” and a signed form to take to school stating I was healthy. I had my first date. My first date with AOL search engine led me to dates with Yahoo and Google. I started to investigate even further. They listened and didn’t tell me I was wrong. The following year I went for my annual physical once again. By this time I wasn’t even making it on the sports teams and I didn’t care. I just wanted an answer. I showed the doctor my knuckles again and her eyes widened. I was told to go check it out. 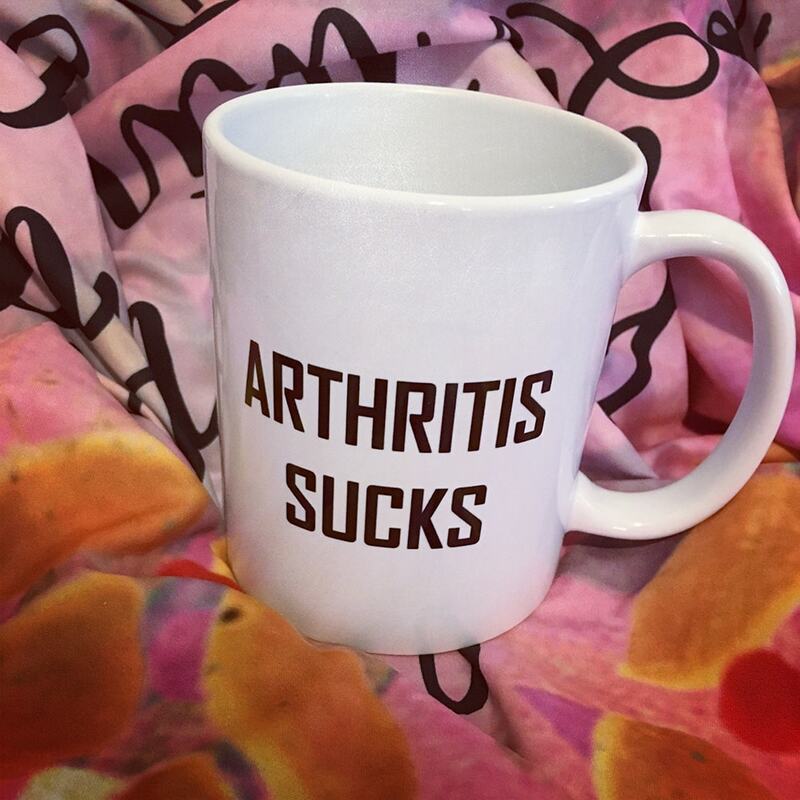 This time I was sent home with a name, number and a rheumatologist to call. My school form didn’t say I was healthy anymore. It said nothing at all. This was the moment I ventured into the unknown. My pediatrician had a rheumatologist in her family but didn’t think to have me check it out sooner, leaving me to think I was going crazy, it was just a phase and it was nothing. Blood test, x-rays and a complete physical confirmed right off the bat my biggest fear- juvenile rheumatoid arthritis. Sent home with a script for medication suggestion and told if wanted I can go for a second opinion, that people do so. But I was told it was an aggressive form and to take medicine. Waited six months to be seen at Mayo Clinic. Was diagnosed with eczema, pityriasis rosea, acne and moderate to severe juvenile rheumatoid arthritis. Was told to start on a biologic combination therapy. This proved later on to be too strong for me. I was told by the head of rheumatology at Mayo Clinic that if I tried just herbal and alternative treatments I would be in a wheelchair and I would be lucky to live till 60 years old in general with this condition. What a nice thing to say to an 18-year-old! Adulthood really started early for me. Everyone in my school was planning on what college to go to and I was sent down a dark tunnel of WTH to do next. Conventional and Integrative Treatments. Elbow damage. Felt Better. Denied Benefits. Started down the path of seeing alternative doctors, changing my diet, and doing various integrative treatments that helped to combat side effects from conventional medications and reduce any other pain and inflammation I was still experiencing. The medication had failed to arrive in time to the pharmacy and I was in a middle of a flare up in my elbow. Instead of offering me a cortisone injection directly to the source, my doctor just fed me ibuprofen and prednisone which did nothing for the location in question. I started showing signs of joint damage in my elbow which eventually led it to develop a contracture. Ironically, despite this, I started to feel better and was attending college. Even with joint damage in certain areas of my body, that limited me to certain activities, I was not a “good candidate” for disability benefits and I was denied my first time applying. Was being seen by a doctor in my city recommended to me by Mayo Clinic. I was given an injection to go all over my body. I ended up in widespread body pain for a month, losing 20 lbs. and muscle mass so fast that people began to wonder if I was ok and if I was intentionally not eating. I was later informed that to do the cortisone injection in this manner was unethical and dangerous. Flares. Suppressed Immune System. Old/New Medicine. with either a cold or strep throat because my immune system was shot. My knee started showing signs of swelling. Began a new biologic and it helped me for a bit, until the benefits started to plateau. Mysterious Rashes Appear. Major Flare-up. End of an era. Finally Got Approved for Benefits. Rashes appeared all over my legs while on a biologic. Was told it wasn’t from the medicine. Maybe a viral infection again but no test offered. Major flare causing severe pain, swelling, accelerated joint destruction led me to be bedridden for a whole week losing muscle mass again. Took six months to recover. I stopped all biologics. After being denied in 2008, I was finally approved for SSA benefits. Knee Issues Start. New Medicine. Cut from Benefits. Starting noticing a slight bend in my knee. My rheumatologist at the time refused to give me any medication unless it was an infusion version. I was not comfortable with this and new there was more options. I faced neglect. There was no understanding, communication or support. Her bias of not wanting to give me a certain medication slowed down my progress to heal. Since she gave it to a young teenager who got pregnant on it, she was wary to administer it to me. I was responsible and told her I was not sexually active. I was around 25 years old, far from a teenager. Still there was no compromise. I started to take matters into my own hands. She left the practice and I saw her colleague who told me the medicine I wanted to take was perfectly safe and he had young woman on it with no issues. Social Security Disability benefits were cut, leading me with no money at all since I wasn’t working. My family helped as much as they could. The social security office became my unwanted second home. It was a nightmare. It led my family and I down a path of paperwork, waiting and lawyers. Started on methotrexate and symptoms slowly improved. Faced with the decision to either undergo total knee replacement surgery or live with not being able to walk well. Methotrexate switched from oral tablets to subcutaneous injection, which proved to help my overall symptoms and disease activity a lot better. New Rheumatologist. Total knee replacement. Things happening at lightning speed. Found a new doctor who took one look at my knee and sent me right away to an orthopedic surgeon. Something that was not done before ever. Total knee replacement was in order at 29 years old. Way to end my 20’s! As you can see my rheumatoid arthritis journey has tossed me around like I am in some circus act. I have had ups and downs and highs and lows. Along with good and bad times. One milestone was taking my first trip to California to celebrate my one year out of surgery. I didn’t travel for a few years prior to this and at that time I had no replacement. Anyone who has any health condition knows how hard it can be to travel and have that “extra carry on” with you so to speak. It was scary at first but it ended up working out just fine! I was proud of myself for not letting my knee get in the way of living life. At this point, I like to refer to myself as a RA veteran. My own metaphorical mountain peak is high, in fact, I consider it to be like Mt. Everest. I am navigating my way through each twist and turn towards remission. Slowly going down the mountain even if at times it may not feel like it. Slow progress, is still progress. With patience, dedication and determination, I will reach the base one day to look up. While I have a new knee and can walk now, I still have other areas in my body that have been impacted, that may need to be addressed at some point. Hopefully, upcoming new treatments and technologies can help reverse damage without being invasive or traumatic. Whatever has happened in my past can’t be undone. All I can do is learn, move on and share my wisdom to people with arthritic conditions of all kinds, chronic illness and disability. It’s about surrendering and going with the flow. To be in the present moment and keep moving towards that star of healing no matter what, is of the utmost importance. *This timeline is in no way linear. In reality, it has many twists and turns. I have showcased major events, milestones and turning points regarding my health that have impacted my life in either a positive or negative way. Many events happened close together so dates are not exact. The “gray matter”- all the medications I have tried, other treatments, diagnoses, events, and everything else in between have not been included.